The powerful movie Dangerous Beauty recounts the story of Veronica Frankl, a 16th century Venetian courtesan (prostitute for noblemen) who wins the hearts of her clients. Veronica is beautiful, witty, and full of passion for life and her profession. Her clients feel her terrific life force, and they are lifted from the grayness of their lives. For those of us who have been taught that prayer or spirituality requires denying our passion, Veronica’s statement may come as a shock. But, as Phillip Brooks noted, “Prayer is not the overcoming of God’s reluctance, but the taking hold of God’s willingness.” And what is God’s willingness, but the experience of joy and abundance in every area of life? While giving a talk at a church in a conservative area of the country, I noticed that nearly everyone in the church looked the same. The women had the same hairdos, the men wore the same suits, and most of the conversations fell within the middle of the bell curve of what is socially acceptable. If you saw the movie Pleasantville, you get the picture. Congenial but not exciting. Then a teenage fellow with orange hair walked into the church. Now I confess that I have had judgments about people who die their hair weird colors and have metal objects inserted in various bodily orifices. But that day I was really glad to see that guy. He was the only person in that church, as far as I could tell, who was making a statement for individual expression. At another time I sat through a fairly boring church Christmas service. As soon as the service was over and people were milling out, some upbeat music came over the loudspeaker. I looked up into the balcony and saw two teenagers who came alive and started dancing to this music. Suddenly my heart lifted. It was the first shred of aliveness I felt during the service. I think Jesus would have appreciated it, too. Then there was the time I spoke at a small church in the Midwest. That day the Sunday school teacher didn’t show up, so the church elders took the class, which consisted of a halfdozen boys about the age of 10, and stuck them in the first row of the church, hoping this would keep the kids in line. My talk was on making the most of wherever you are. You can imagine my surprise when I looked over to see all of these boys sitting there with quarters in their eye sockets! At first I was jarred, then I had to hand it to them. They were the only people in the church who put my lesson into practice immediately! A fun way to evaluate your activities is by doing “energy scans’ on yourself and others in any given situation. Have you ever seen a magazine or television advertisement for home insulation, where they show a thermograph of a home in the wintertime? The photo shows most of the home as blue, indicating the area that is wellinsulated. Some of the areas, especially around doors and windows, are glowing red, indicating the places where heat is leaking out. Over a long period of time we have been trained to believe that life is about staying insulated, rather than glowing with passion. God, however, is most present and obvious where people are happy and alive. This means that there is more genuine prayer happening at football games than most churches. If churches could work up enthusiasm, presence of attention, and spirit as well as professional football, religion in our country would really rock. But many people walk out of most churches more dead than alive. If next Sunday we made a rule that only those people who would really love to go to church go, I wonder what attendance would look like. But the good news is that the energy in church would be spectacular. I would rather teach to a small group who really want to be there, than to a large group whose mind was on golf. To that group I would say, “Please, go golf. Let the golf course be your church.” Such passion is prayer. Wherever there is passion, there is church. Wherever there is aliveness, there is God. True prayer is not mumbling a set of words, but energetically expressing what makes you feel most alive. When you love what you are doing, you are God in action. 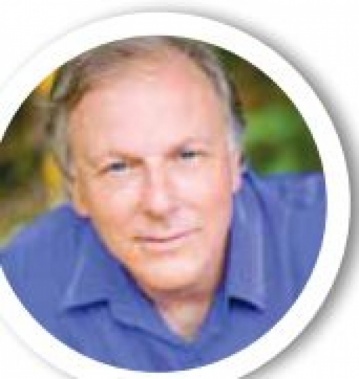 Alan Cohen is the author the new bestseller A Course in Miracles Made Easy: Mastering the Journey from Fear to Love. Become a certified professional life coach though Alan’s transformational Life Coach Training beginning September 1. For more information about this program, his free daily inspirational quotes, online courses, and weekly radio show, visit www. alancohen.com.